Sometimes, especially when a new jailbreak is released after a big iOS refresh, some people need what they feel to be a good reason to get back into the jailbreaking world. They’ve almost become accustomed to the way their device works, and the limitations put on what it can do. They don’t miss their jailbreak, and they’re happy as they are. And then a jailbreak tweak comes out that changes all that, making them consider dipping a toe into the world of Cydia and unintentional resprings once more. For us, that tweak is Ryan Petrich’s FlipControlCenter. First teased by Petrich a few fays ago, FlipControlCenter has a couple of tricks up its sleeve. 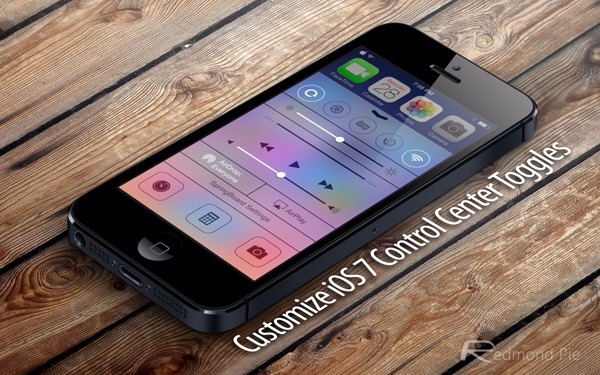 The first is the ability to change the order that Control Center lists its options in. So, if you want to have your rotation lock button on the far-left instead of the far-right, then you can. Want to move the Wi-Fi toggle around? No problem. But if that prospect leaves you somewhat underwhelmed, FlipControlCenter’s party piece is sure to get your blood pumping. The new tweak, which is available to download via Cydia now, adds a new section to the iOS Settings app. 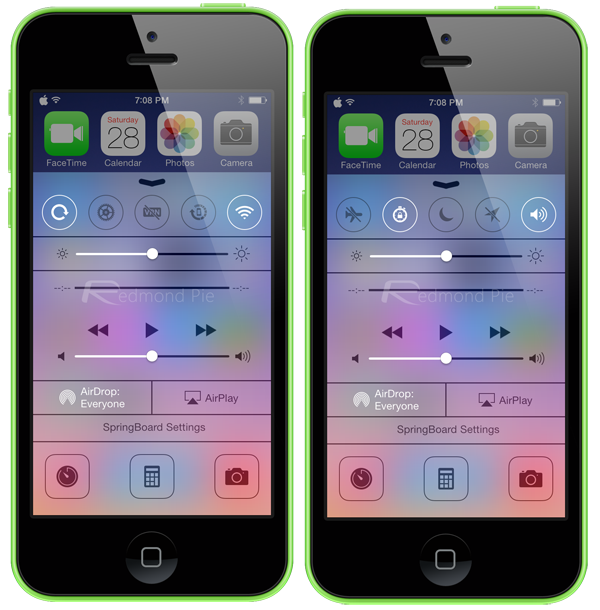 Inside there, users can choose which options are shown in Control Center, meaning useless switches like the Wi-Fi button can be replaced with the much more useful Respring button. There’s even an option to launch the Settings app right from inside Control Center. Groovy stuff indeed. Simply navigate to Settings > FlipControlCenter > Active Switches for all your customization needs. iPhone 5s as usual is not supported because of no 64-bit support in MobileSubstrate yet. If you’ve got something a little older though, you can install the tweak now after adding the rpetri.ch/repo repository and installing “FlipControlCenter”. It’s tweaks like this, ones that take iOS 7 and play around with it, that have us interested to see what new and interesting things will come out of the recently revived jailbreak community. Let’s see what else it comes up with. If there was any doubt, jailbreaking and tweak development are very much back in full swing.